Can the recipient choose a particular showtime, and how long is the certificate valid? When you order you can either choose a particular show or you can let the recipient decide when they would like to visit. 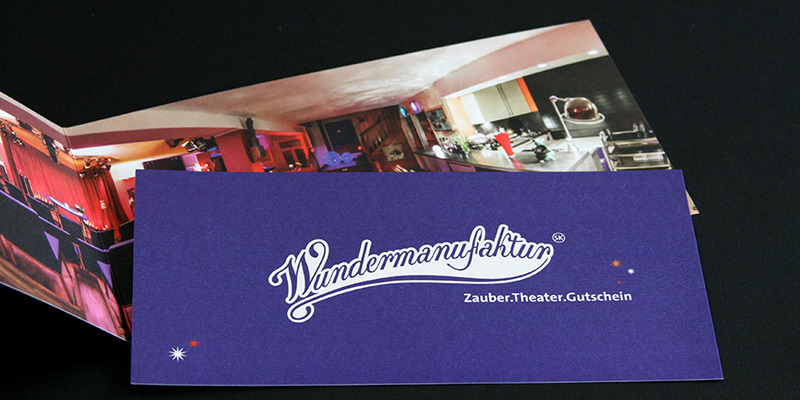 The certificate is valid for three years and can be used for any of our amazing shows at the Wundermanufaktur. What does the recipient have to do? First they should look at our programme and decide which show they would like to see. Then they can call or e-mail to reserve their seat, the certificate itself will be their ticket on the day of the Show. How much does a gift certificate cost? It is the same price as a regular ticket at the Wundermanufaktur: 89.00 Euros per person for a front row seat or 79.00 Euros for the second or third row. I need a certificate right now, is this possible? Yes. We will e-mail you a printable certificate that you can present and then post you the original. Of course you will need the original when you visit the Wundermanufaktur. Enjoy sharing a magical gift! Thank you very much for your message. By using this form you agree to the storage and processing of your data by this website. Please read the Privacy Statement.